New replacement inlet cone air filters and new exhaust silencers. The workshop manual quotes the following oils for the V50. Are you able to tell me what 'modern' equivalent oils I will need in order to keep my bike running sweetly? Opie advised Fuchs Superma 15W-50 mineral oil for my '92 750T. Seems ok, so I use it in my Falcone too. 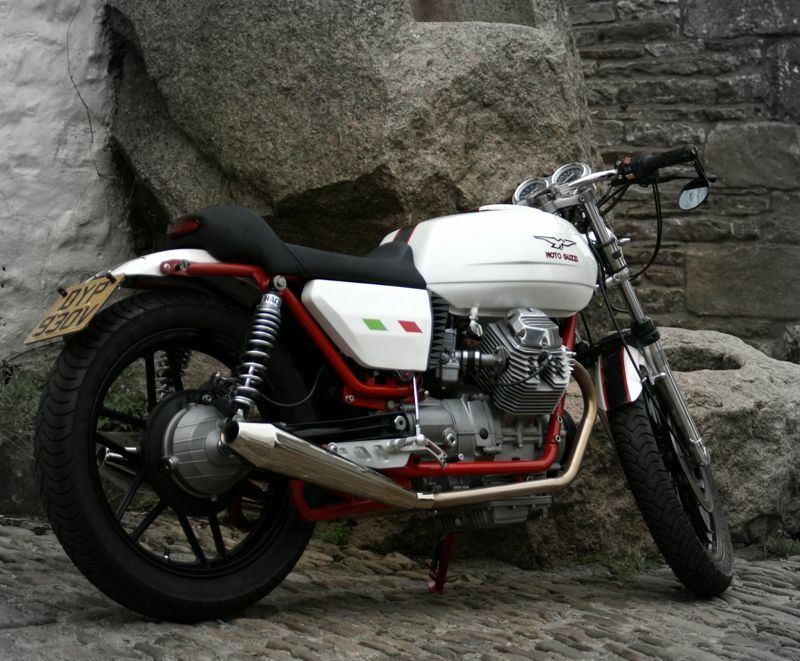 I've just received my copy of Mick Walker's Guzzi V-twin restoration book and he recommends 10W/40 for the engine. Of course these weren't available when our bikes were new. I can’t seem to find the oil you are quoting. ATF - Automatic Transmission Fluid. Readily available. Am I right in understanding you don’t use regular fork oil? How do you then go about adjusting the ride? Springs only? I use the Eurol oils oil advisor website for bikes and cars , interestingly for the V50 in question they suggest phoning the Technical help line re engine oil but have listings for transmission and forks. See topic "V50 II Fork oil"